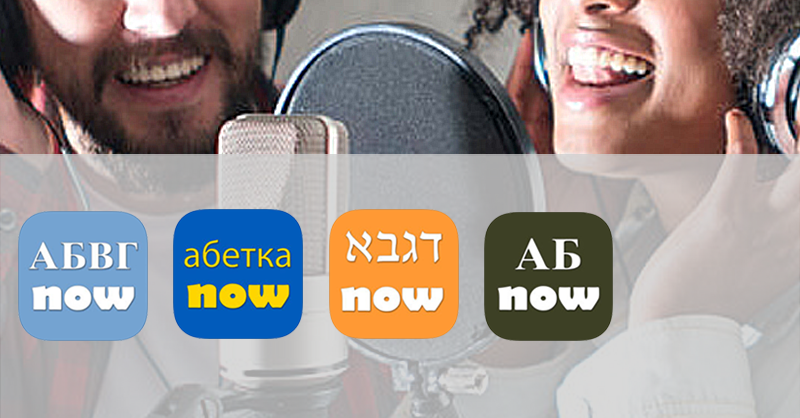 Working with some amazing voice talents, we’ve added sound to the Hebrew, Ukrainian, Russian and Greek Alphabet Now apps. We’ve added letter names, pronunciation and example words to each lesson. There are a few other changes to address bugs and corrections. For languages like Syriac or Cherokee it is much more difficult to find a speaker that can also record studio quality sound. More on that later!